Is your water heater not heating things up according to your mood? Enter the star of the Activa family the Activa 35Ltr. Water Heater Amazon 5 Star. It does come boasting with a 5-star rating and a capacity of 35 litres. The wattage of the Beige-coloured water heater is 2000 watts. So stop waiting and start using heated water by ordering the Activa 35 Ltr. Water Heater Amazon 5 Star on. 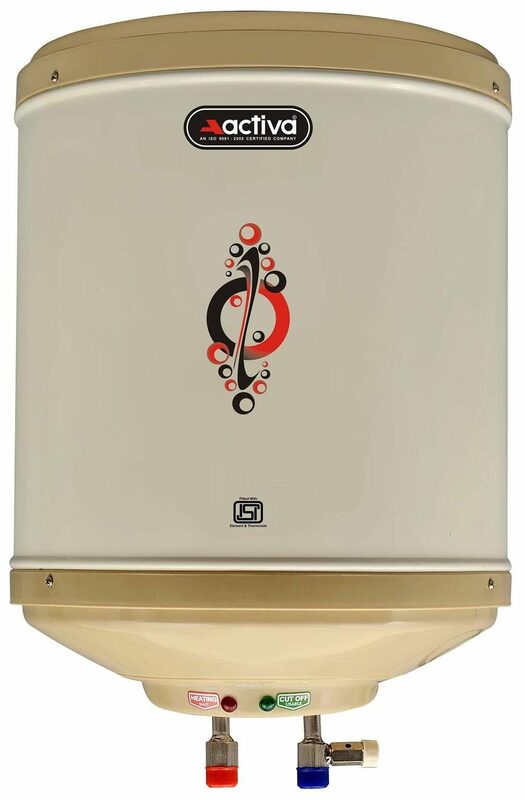 # Body and Capacity # Additionally the 5-star rated Activa Water Heater comes along with Magnesium Anode for longer life in hard water. The device comes with a 2-year warranty on the tank and 1-year warranty on electrical components. The customer can avail installation services from a third party vendor as the brand does not provide installation service for this product. # The images represent actual product though color of the image and product may slightly differ.